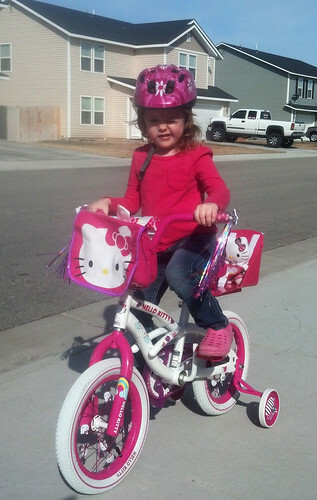 Last summer we got Lil a balance bike and a few days later she saw a Hello Kitty Big Girl Bike at Target and has been talking about it every since. 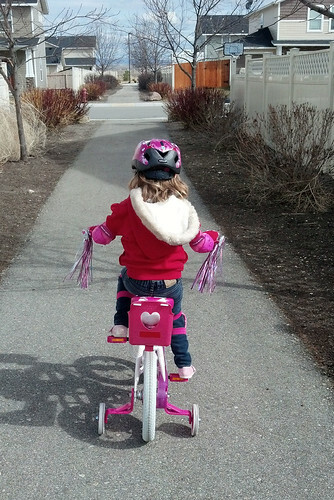 Because we had just bought the balance bike and well because she was too little for a Big Girl Bike we have been telling her that we will get it for her when the weather gets warmer this spring. 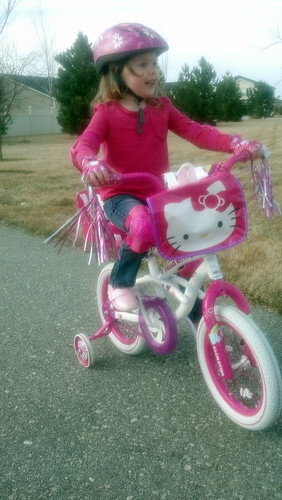 As soon as we got paid this month we headed to Target and got the Hello Kitty Big Girl Bike. Lily was in heaven. 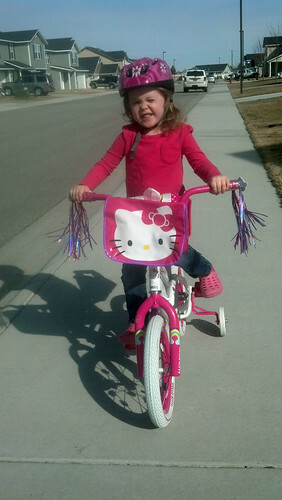 A few days before we bought the bike we ordered her a doll bike seat so her Buddies could go for a ride. This was a BIG hit. She spent way more time using her breaks than going forward. But it didn’t take long to figure it out with Daddy’s help. 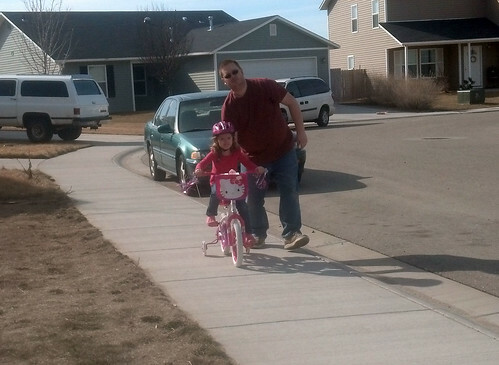 About 5 minutes later Lil was an expert (well almost). The next day we searched high and low (I mean it, we went to I don’t know how many stores) to find elbow and knee pads. Hello Kitty of course. We finally found them at Walmart. 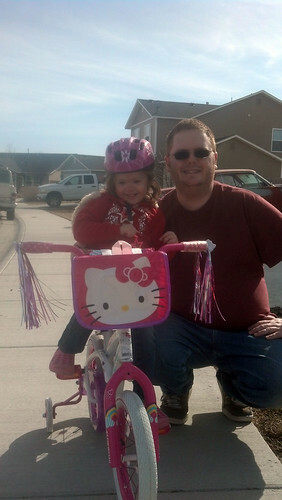 This entry was posted in Fun, Life, Lily, Phone pictures, video, Waldo and tagged Lil, Mobile randomness, Us, video, Waldo.